A couple changes to keep in mind tonight. South Broad Street near Passyunk Avenue, looking north. Drivers whose cars are parked along the sides of South Broad or in the median strip will need to find another place to park before 2 p.m. Sunday because of parking restrictions put in place for the Eagles game, police said. 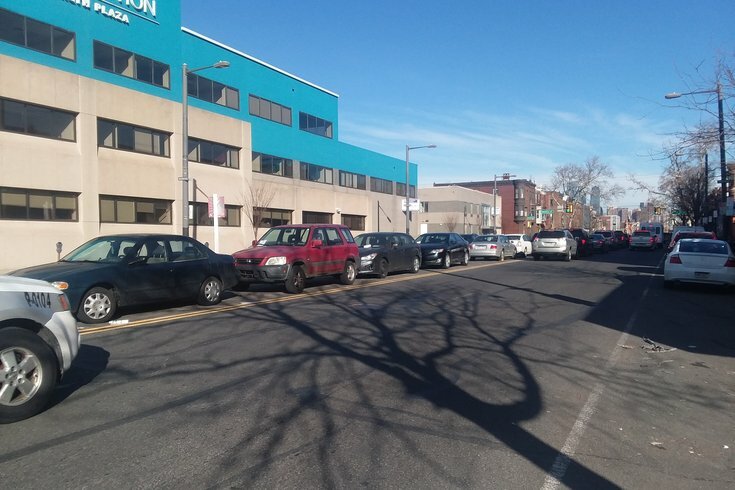 Parking in the median of South Broad Street -- a time-honored and fully illegal tradition in South Philly -- will be actually banned Sunday in anticipation of Super Bowl LII. After the Philadelphia Eagles took the NFC Championship title two weeks ago, fans flooded the streets in celebration. Perhaps anticipating the possibility for a similar outcome from tonight's game, the Philadelphia Police have officially banned parking there starting 2 p.m. Sunday, Feb. 4 through 3 a.m. Monday, Feb. 5. The same measures were taken for the NFC game. The notification applies to Broad Street from Lombard Street southward to Oregon Avenue. Additionally, the police are switching it up after the now-infamous use of Crisco to deter Eagles fans from climbing city poles backfired. On Super Bowl Sunday police were seen throughout the city greasing light poles with hydraulic fluid instead. That stuff is water-resistant, so the rain won’t change things for aspiring climbers, either. Looks like the city didn’t need that offer from PornHub after all. Win or lose, though, stay safe tonight!